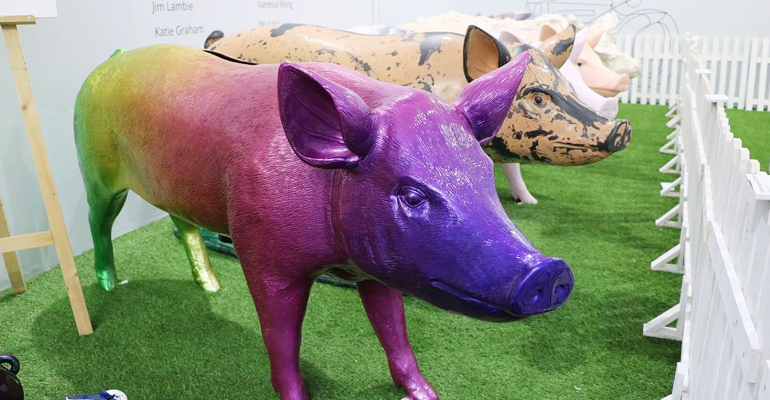 The Sovereign Art Foundation’s (SAF) ‘Year of the Pig’ public art project presented a citywide line-up of enigmatic painted pig sculptures, each representing a unique art piece as interpreted by some of today’s most sought-after local and international contemporary artists. ‘Year of the Pig’ was launched at the start of Hong Kong Art Week with the unveiling of a select number of pig artworks at Art Central from 27 to 31 March. Once exhibited, the artworks will be sold through various means and funds given to charitable causes helping disadvantaged children in the region. For more details, go to the Sovereign Art Foundation website.